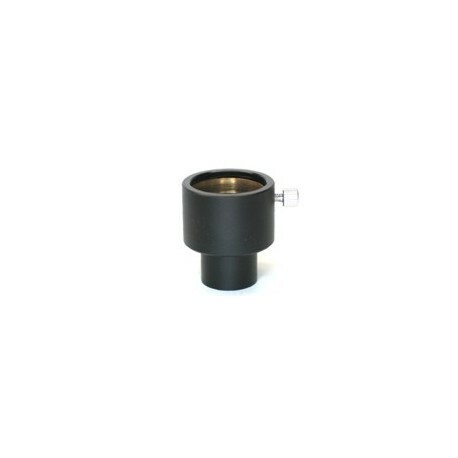 This handy hybrid adapter lets you use common modern standard 1.25" format eyepieces in your telescope that normally accepts only .96" format eyepieces. 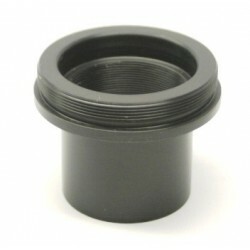 Compression Ring fitting to avoid marring your eyepiece barrels. 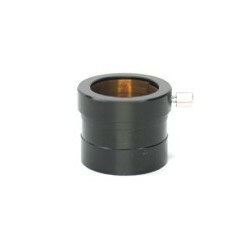 Use 1.25" accessories in your .96" Telescope! This handy hybrid adapter lets you use common modern standard 1.25" format eyepieces in your telescope that normally accepts only .96" format eyepieces. 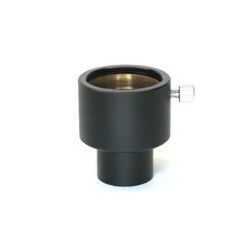 Compression Ring fitting to avoid marring your eyepiece barrels. Requires a bit of extra back focus since the eyepiece will be set back a bit. CNC Machined of aluminum with a durable black anodized finish. Threaded to accept .96" eyepiece filters.